My blog had its 1 year anniversary yesterday. Writing here is still one of my favorite pastimes. Last weekend, in a great flea market visit, I have found some celluloid things. A new elephant for my charm collection, two heart charms, a rose clip, a string of rose beads and a beautiful old silver and celluloid nameplate bracelet. I like to wear Nina’s bracelet, whoever she was. 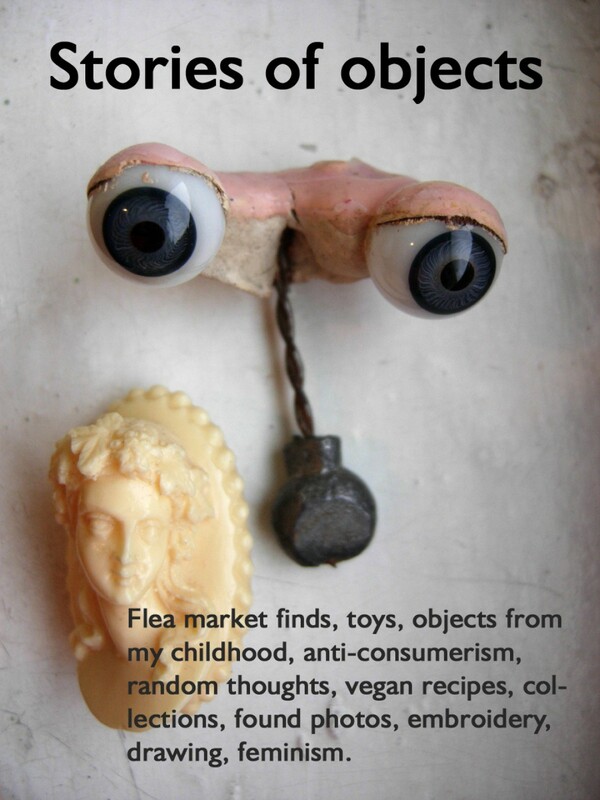 Posted on December 26, 2015 by stories of objects	This entry was posted in antique, bracelet, celluloid, charm, collection, flea market find, jewelry, plastic, silver, Uncategorized, vintage and tagged antique, bracelet, brooch, celluloid, charm, collection, flea market find, jewelry, plastic, vintage. Bookmark the permalink.